You can plan awesome day trips from Edinburgh on your own! 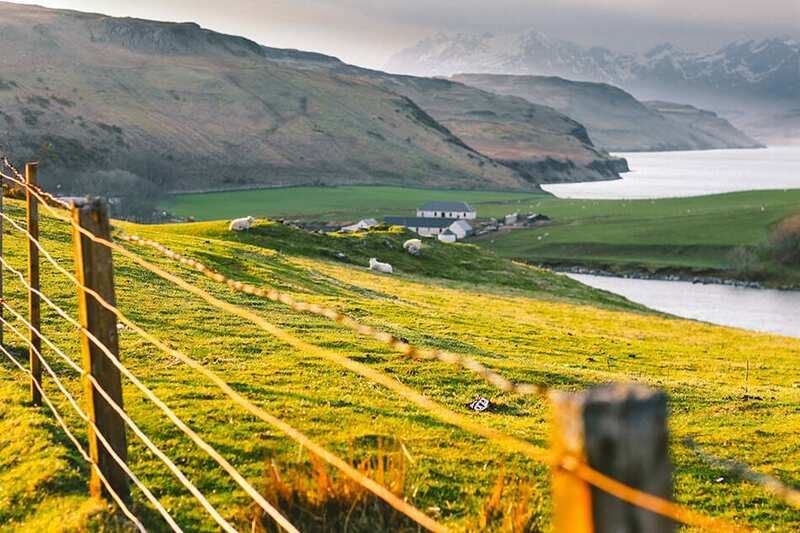 Scotland is one of those destinations that offer endless possibilities to the lucky travelers who intend to visit. There is a lot to see and you can do so on your own, with a rented car, by public transport, or opting for a guided tour. 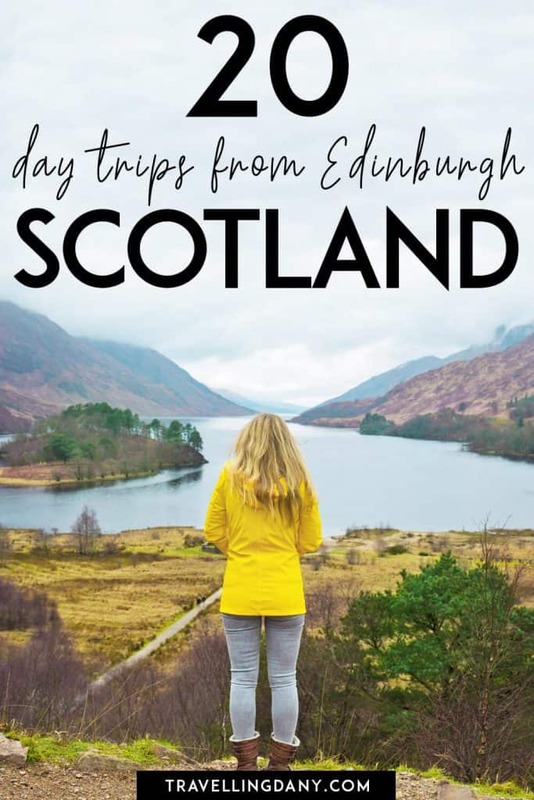 Let me show you the absolute best day trips from Edinburgh that you should consider if you are planning to visit Scotland. Some of those are bucket list material, and some others can definitely be listed as off the beaten path spots that will satisfy also the fellow history geeks out there! While Al never had any problem with driving in Scotland, we know well enough how difficult finding a parking spot in Edinburgh can be… especially if you’re visiting on a budget! In case you don’t feel like driving, or if your budget doesn’t have room for car rental, don’t despair. There are a lot of day trips from Edinburgh by train or public transport that you can plan on your own. Some Edinburgh day trips are beautiful and easy to do, some are a bit more complicated, for the seasoned travelers, some others will let you experience the wild side of Scotland off the beaten path. Let’s see what are the best Edinburgh tours you can enjoy without a car. This guide includes detailed info on how to get to each place! Stirling Castle is one of the largest and most important castles in Scotland. This means that it also represents one of the best day trips from Edinburgh, considering the fact that it’s quite easy to get there. The trip from Edinburgh to Stirling is quite short, only 39 minutes using a ScotRail train: it’s the shorter route, yet the train station isn’t very close to the castle entrance. Using a bus will take about 2 hours (or more, it depends from the traffic) and you’d still have to walk to get to Stirling Castle. My suggestion is to take the train from Edinburgh to Stirling, and then use the Stirling Hop-on-Hop-off bus, which runs daily from July until the second weekend in September. Tickets for Stirling Castle will cost you £16 and can also be bought online to get a small discount and beat the queues. 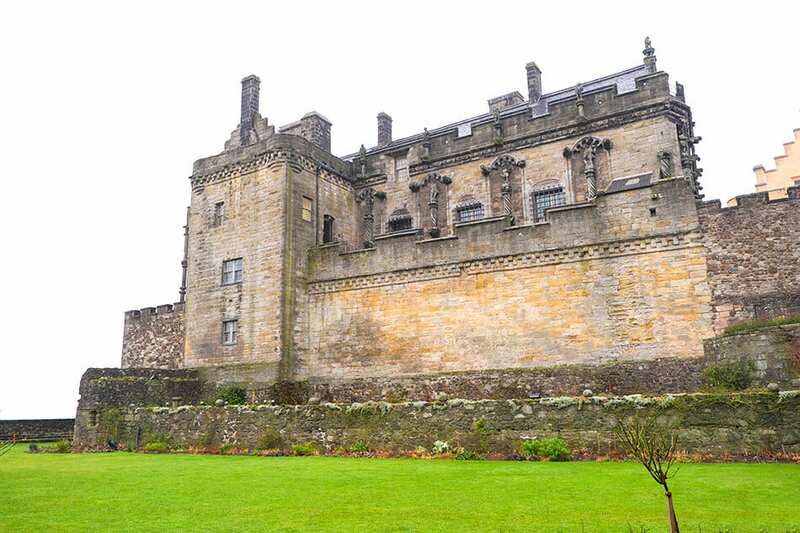 Your Stirling Castle ticket includes a visit to Argyll’s Lodging, Scotland’s finest 17th-century townhouse, located just beyond the castle walls. Unfortunately, due to essential maintenance, as I’m writing this article, Argyll’s lodging is closed to visitors. However, it should reopen soon. Another stop for this day trip from Edinburgh is Doune Castle. In case you’re thinking that it looks familiar… you’re right! Doune Castle has been often used as a filming location for BBC productions. The tv series that made it super famous is Game of Thrones. In the pilot for the first series, Doune Castle was Winterfell, home of House Stark. Tickets will only cost you £6 and it’s strongly advised to book in advance. You can easily get to Doune by bus. From Stirling Castle walk to the Cowane Centre and hop on a bus Addison News 1. The trip to Doune will take about 24 minutes. Doune Castle is within walking distance from the bus station. St Andrews is yet another one of the easy day trips from Edinburgh that you can plan on your own. This lovely seaside town, located on the Fife Coastal Road, is a golfing mecca and a former fishing port. Legends claim that the town got its name because it harboured the relics of St. Andrew, brought here by a bishop. Yet what the world always remembers is that St Andrews is the birthplace of golf: they even have a golf museum! I always suggest to spend one full day in St. Andrews (unless you’re planning a short trip to Scotland) not only because there’s so much to see and do. It’s such a lovely town that it will make you want to stay: me and Al almost threw our itinerary out of the window just so we could spend more time in St. Andrews! Maybe it was because we visited when this seaside town wasn’t full of tourists, or maybe it was the fact that we’re history geeks and we got to learn a lot. Whatever the case, spend at least a few hours in St. Andrews and you won’t regret it! The “Home of Golf” is a destination for all the family. There’s an amazing cathedral, the oldest university in Scotland (Prince William studied here) and a castle, where you can explore a mine passage and a bottle dungeon. In case you’re not really into history, know that St. Andrews is also the perfect day tour from Edinburgh for those who love the great outdoors. Head over to the beach at the West Sands (featured in the movie Chariots of Fire), or explore the St Andrew Botanic Gardens to enjoy an oasis of calm, a short walk away from the centre of town. Even during the busiest period of the year, the Botanic Gardens are never too crowded! In St Andrews you’ll also find a lot of cute little shops, mostly family-run, where you can buy lovely souvenirs from Scotland, and family-friendly restaurants. Fish and chips is delicious and not really expensive! The shortest route to St. Andrews is by taking a ScotRail train from Edinburgh to Dundee, and once there, hop on a Stagecoach East Scotland bus: 99A has a direct connection to St. Andrews. The whole journey should take a little more than 2 hours. Linlithgow Palace is located in Linlithgow, West Lothian, 24 km from Edinburgh. Once one of the main residences of the monarchs of Scotland, it was burned down in 1746. After being restored, it has become a popular attraction in Scotland, especially because it’s one of the Outlander locations! If you have watched the well-known series, you’ll probably recognize it as the prison entrance and corridors in the scene where Jamie was imprisoned (mild spoiler so I won’t be saying anything on the specific episode!). Aside from Outlander, Linlithgow Palace is famous for two things. One is the fact that it’s haunted by the spectre of Mary of Guise, Mother to Mary, Queen of Scots (yet we haven’t seen no ghost). Another is the seven-foot bronze statue looking out over the palace. It’s the very first public statue of Mary Queen of Scots to be erected in Scotland. She was born here in December 1542. Linlithgow Palace tickets will cost you £6.00. Next to the palace there’s a quite cheap parking lot, in case you’ve rented a car! The palace is located on the banks of Linlithgow Loch. If you’re visiting Scotland on a budget, you can have an easy, level walk around the lake for free. It’s a great way to take awesome pictures: if you’re lucky enough there’s a chance you’ll spot the local wildlife. Next to Linlithgow Palace you’ll see the tall tower of St. Michael’s Parish Church, dedicated to the town’s patron saint. You should know that Linlithgow’s motto is “St Michael is kind to strangers“. Well, in our case we couldn’t have felt more welcome. As soon as we stepped inside St. Michael’s Church we were greeted by a kind priest. With a warm smile he showed us inside, encouraging us to explore the church as we wanted. We were able to film indoors, as you can see from our video, because there was no one else. Please, if you’re visiting, be respectful and always ask for permission before to start filming or taking pictures. This is the house of God, so keep your shoulders and knees covered at all times, and speak in hushed tones! Linlithgow is also a very nice town that you should explore. If you are interested in taking pictures of the Scottish countryside, definitely have lunch here so you can spend more time just walking around and enjoying yourself. Getting to Linlithgow Palace is absolutely easy. Hop on a train from Edinburgh to Linlithgow (ride lasts 19 minutes) and just walk for about 10 minutes to the Palace Gate! Glasgow is one of the most colorful cities in Europe! 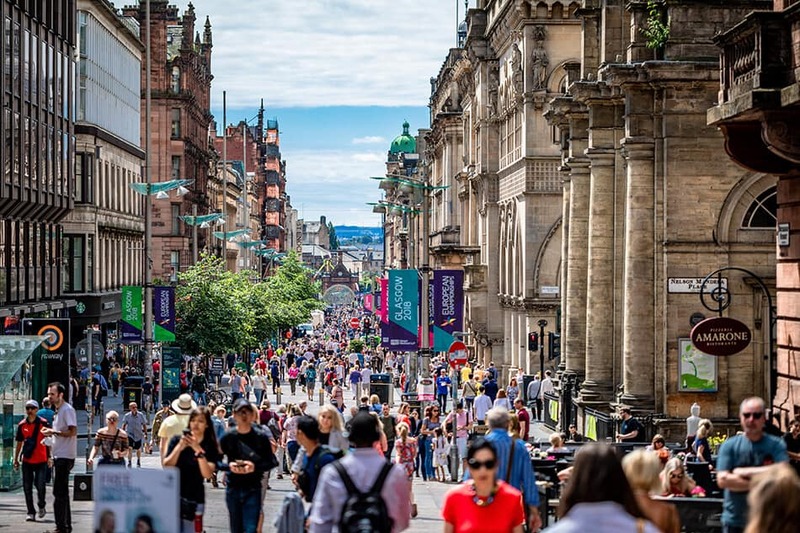 Another one of the popular Edinburgh day trips you can add to your Scotland tour is the city of Glasgow. 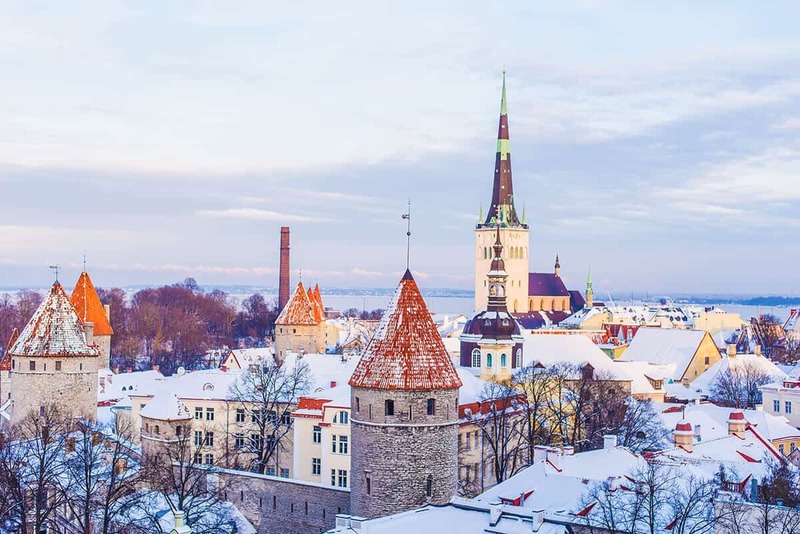 We’ve read that it’s one of the rainiest cities in Scotland, but since we visited in winter… we didn’t feel the weather was much different from Edinburgh! Someone on Instagram told us that “it wouldn’t be Scotland without some fog and rain” so it’s part of the deal guys! Glasgow is not only the home city of musicians like Simple Minds, Mark Knopfler and Franz Ferdinand (among others). 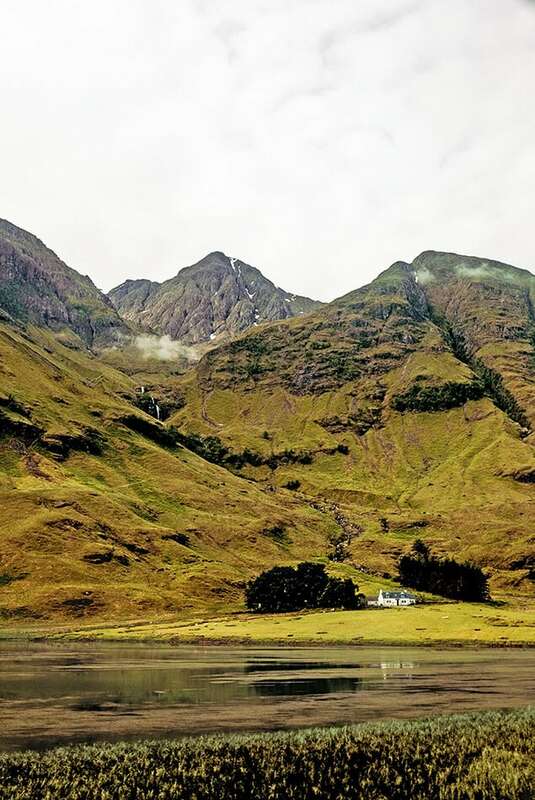 It was recently crowned as one of the most popular cities in Scotland where you can have fun, with a vibrant music background and a colorful clubbing scene, lots of pubs… and hipster vegan cafés. In case you haven’t planned an Edinburgh distillery tour, visit Clydeside distillery in Glasgow. The tour includes a chocolate and whisky tasting that you’ll definitely love. Or you can explore the amazing Glasgow Cathedral with the nearby Necropolis, inspired by Père Lachaise cemetery in Paris and dating back to 1833. Glasgow is also home to a lot of interesting museums, like the Kelvingrove Art Gallery or the Glasgow Science Center, and micro-breweries like Drygate Brewery, where you can sample 26 rotating beers on tap and countless more bottled variants. No matter how you decide to spend your time in Glasgow: if you have enough days in Scotland, I’d definitely suggest to add it to your list of tours from Edinburgh. There’s always something fun to do! To reach Glasgow from Edinburgh you have to hop on a Scottish Citylink 900 bus towards Buchanan Bus Station. The trip will last 1 hour and 14 minutes on average. In North Berwick there’s also a Puffin Fest in May! North Berwick is a lovely seaside town in East Lothian, famous for its instagrammable spots and for the amazing Scottish Seabird Centre. 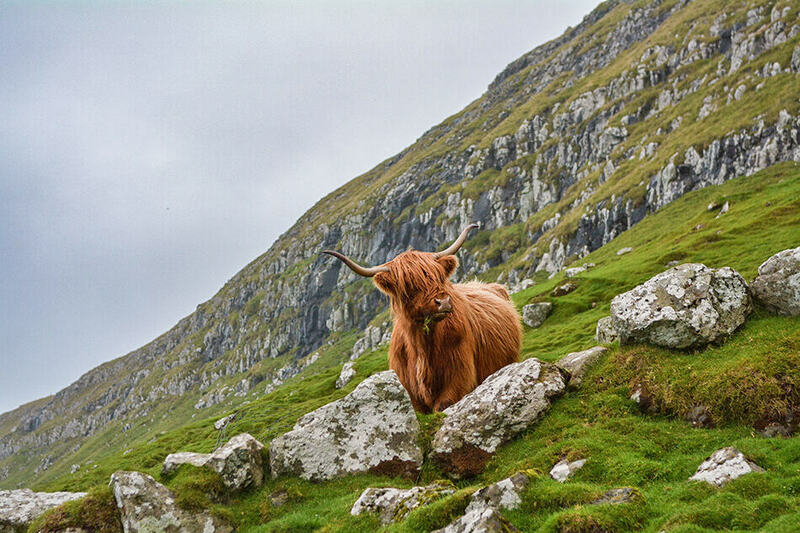 We love to be able to spot the local wildlife when we’re traveling so this was one of our favorite day trips from Edinburgh! North Berwick is full of shops, cafes and restaurants. We found lots of fish and chips joints and ice cream parlours, quirky tearooms (prices were also acceptable, and definitely lower than Edinburgh), coffee shops and many independent boutiques selling clothes and accessories. The whole town seems to be focussed on the Scottish Seabird Centre. To the point that they won multiple awards for their gardens and floral displays. 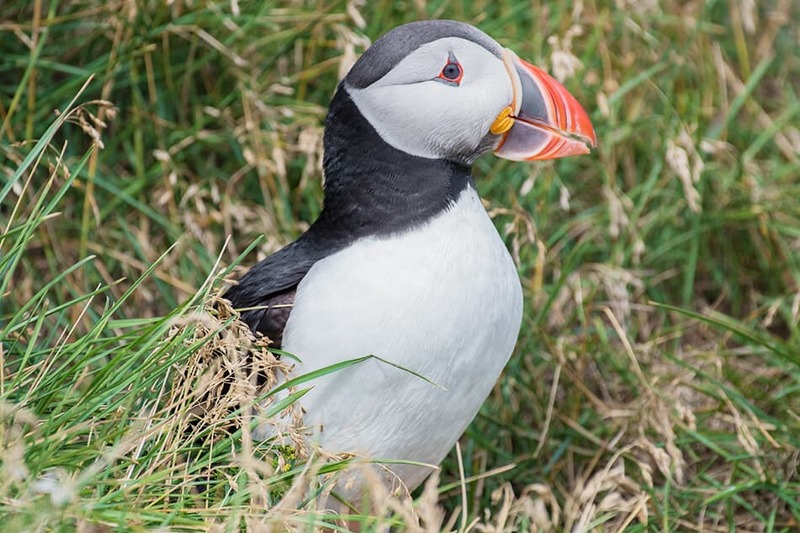 They even have a Puffin Fest in May to celebrate the return of the puffins to the local islands! If you have planned a day trip to New Berwick, definitely add a visit to the Scottish Seabird Centre. It will open in April 2019 after being closed for refurbishment: chances are that it’ll be even more amazing! In the Discovery Centre you can zoom in on the wildlife in the area, from the gannets on Bass Rock (the world’s largest colony of Northern gannets) to the puffins on the Isle of May National Nature Reserve. Every season offers different sights, because of the different stages of the breeding season: it’s an absolute must-see! Between April and the end of September you can book a boat trip to Bass Rock at the Scottish Seabird Centre. There are also catamaran runs, like the Three Islands Seabird Seafari or the one that goes to Firth of Forth! While there’s a café at the Scottish Seabird Centre, it can be a bit pricey and crowded. If you’re in town, I suggest you go to Steampunk Coffee, an industrial chic eatery. To get to North Berwick get the train from Edinburgh Waverley to North Berwick. The trip will take about 30 minutes and the walk to the Seabird Centre another 15 minutes. Make sure you keep your train ticket! You will receive 20% discount on entry to the Discovery Center! 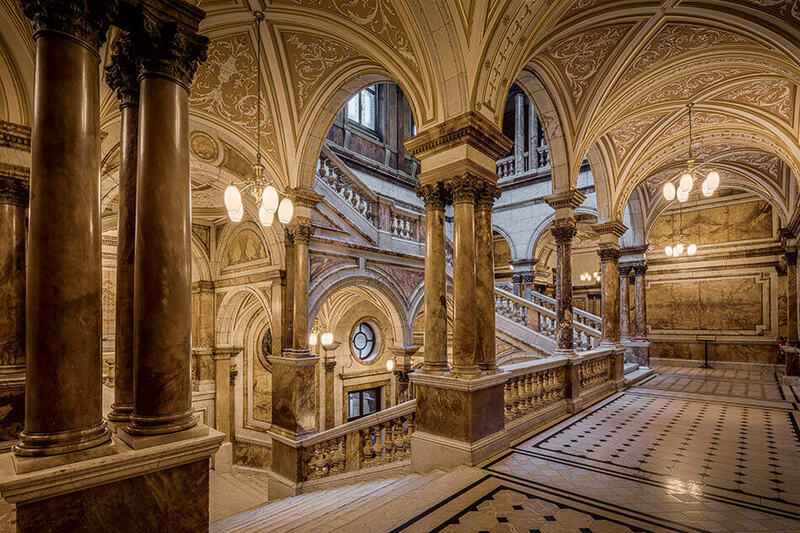 Take some time to explore the Glasgow City Chambers: you won’t regret it! Perth is a lively city located on the banks of River Tay, surrounded by the lovely Scottish countryside you’ve probably seen on pictures (the same that made us fall in love with Scotland) and by Scone Palace, the crowning place of Scotland’s monarchs. Being a small and compact city, it’s easy to explore it just by walking around. Its Georgian cobbled streets are perfect for taking Instagram pictures and the train station delivers you right to the city center. Which means you can explore at your own pace, without having to buy additional public transport tickets. You could consider Perth as one of the off the beaten path destinations in Scotland, and a lovely day trip from Edinburgh if you like historical buildings, legends, tiny little shops and weekend city markets. If you want to visit Scone Palace, tickets will cost you £12.50. Yet if you’re planning a trip to Scotland in November, (part of) December, February and March, you can get free admission to the Grounds, Coffee Shop, Food Shop, Children’s Playground and maze each Friday, Saturday and Sunday. Make sure you note down that the grounds will be closed from December 17 to January 31. Adding Perth to your list of day trips from Edinburgh also means that you can get there via the Fife circle, crossing the mighty red Forth Rail Bridge! The train trip from Edinburgh to Perth, using ScotRail, lasts 1 hour and 16 minutes. At Rosslyn Chapel look for William the Chapel cat! If you have read the book Da Vinci Code or watched the movie with Audrey Tautou and Tom Hanks, you probably already know about Rosslyn Chapel. The most remarkable building in Scotland is also possibly the easiest one between the many Edinburgh day tours you can plan on your own. 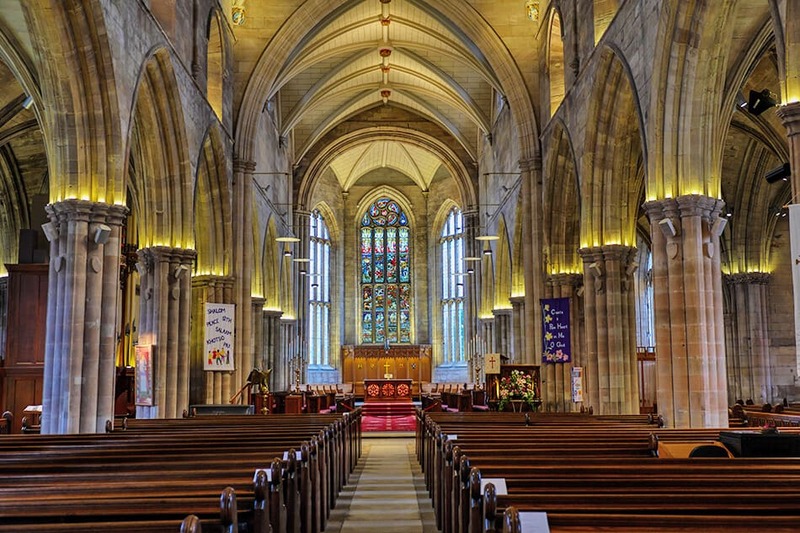 Located in Roslin, this amazing building is a place of worship, and can be visited throughout the year, unless they’re celebrating a wedding or if there’s a special event going on. Of course, being a place of worship, you absolutely need to be respectful: cover your shoulders and knees, talk in hushed tones and don’t film nor take pictures inside the chapel. Once you’re there, look around for William the Chapel cat: this cute furbaby has been living at Rosslyn Chapel since when he was a kitten and has now become a celebrity! At the Visitor Centre they even sell lots of William merchandise (we bought a decoration we will use for our travel-themed Christmas tree)! The visit takes about 1 hour and you have the chance to enjoy a guided tour in English (ask for it at the ticket office). If you don’t have time to wait or if you don’t speak English, you will be given a leaflet with lots of detailed info on it, in your language. All the staff is absolutely welcoming and super-nice so don’t be afraid to ask, they love to answer questions! 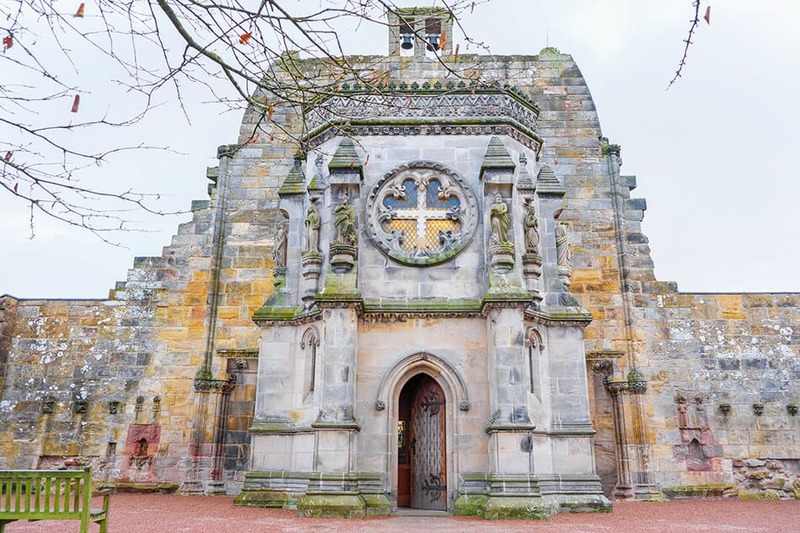 Tickets for Rosslyn Chapel will cost you £9.00: I suggest always checking their official website for the opening times, so you can arrange your schedule accordingly in case they’re closed for some reason. To get to this amazing building (check the stonework yourself and then you’ll understand why we’re still in awe) you only need to hop on a bus from Edinburgh. Opt for a Lothian bus, n. 37 towards Deanburn. It will get you to Roslin village in about 40 minutes. Rosslyn Chapel is within walking distance, at about 350 meters from the bus stop. If you are an outdoorsy person you will love the Scotland National Parks! Pitlochry is not too far away from Edinburgh and yet it has so much to offer. 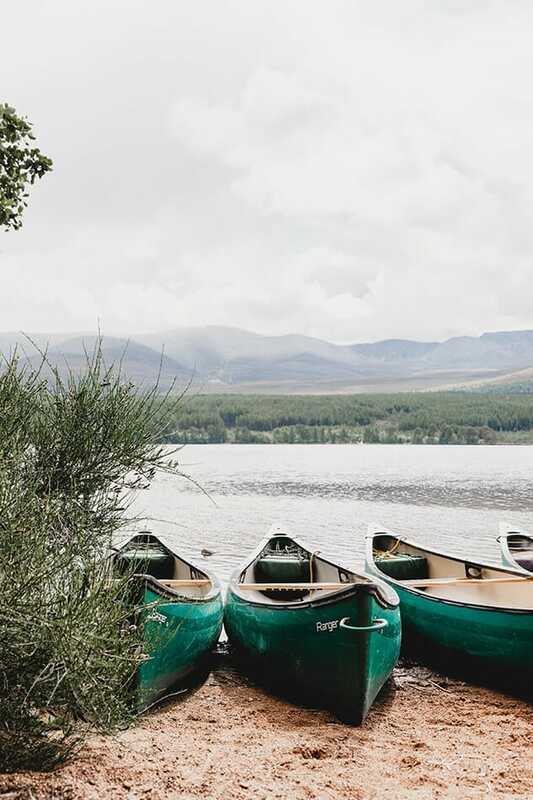 Located in Perthshire, it’s perfect if you’re thinking of visiting Scotland in spring or summer, because you’ll be able to delve into a whole lot of outdoor activities. 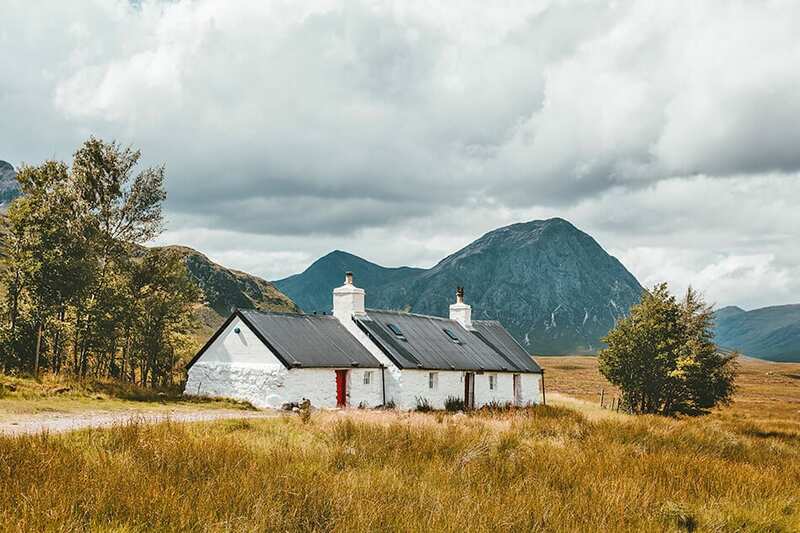 Unless you plan at least a couple of day trips from Edinburgh to Perthshire, you might not be able to enjoy traditional pastimes like golfing or fishing, but one thing is sure: hiking or just walking around with your nose up in the air is going to be amazing. This is where many adrenaline-lovers come to try bungee jumping or fast paced mountain biking. We didn’t even try that for two reasons. First, heights still terrify me. Second, I’m the clumsiest person ever, so I’m almost sure I’d hurt myself pretty badly. Yet know that this is the “thrill zone” in Scotland, if you are braver than me! 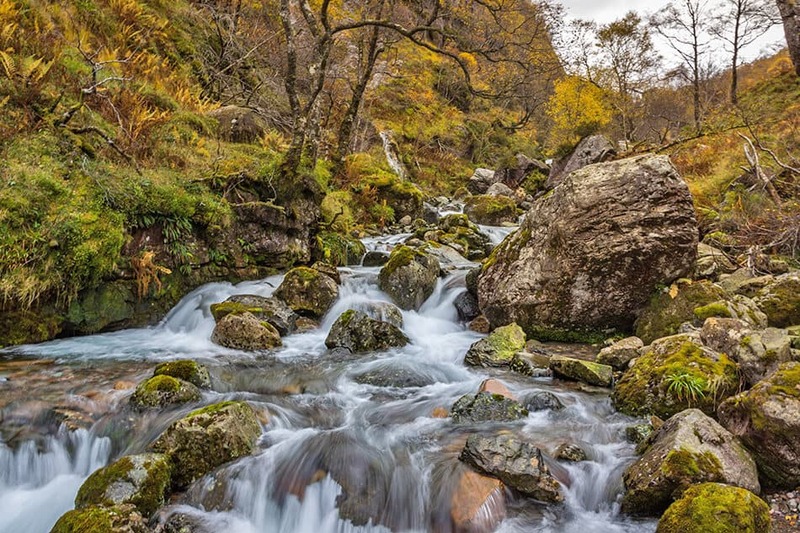 If you are planning a trip to Scotland in Autumn, from Pitlochry there are quite a lot of trails you can hike to enjoy awesome views, as the forests transform into a blaze of golds and reds. As you know we enjoyed foliage season in the Adirondacks: make sure you enjoy it also in the heart of Europe! On Atholl Road in Pitlochry you will find Pitlochry iCentre, which is an official VisitScotland centre where you can book bus tickets, local tours to Inverness or Perth, or buy tickets for Scotland attractions. They also sell lots of souvenirs, maps and books! Blair Castle is the ancient seat of Dukes and Earls of Atholl, and home to Europe’s only private army, the mighty Atholl Highlanders. Because it’s nestled in the landscape of Highland Perthshire, you will need to walk about 1 km (half a mile) to get there from the train station, following the main drive up a lime avenue. The easy way up is hopping on a local bus from Pitlochry (Elizabeth Yule Coaches) at the stop outside Fishers Hotel. They’ll bring you directly up to the castle. Tickets will cost you £13, but you can also visit the gardens only for £7.70. 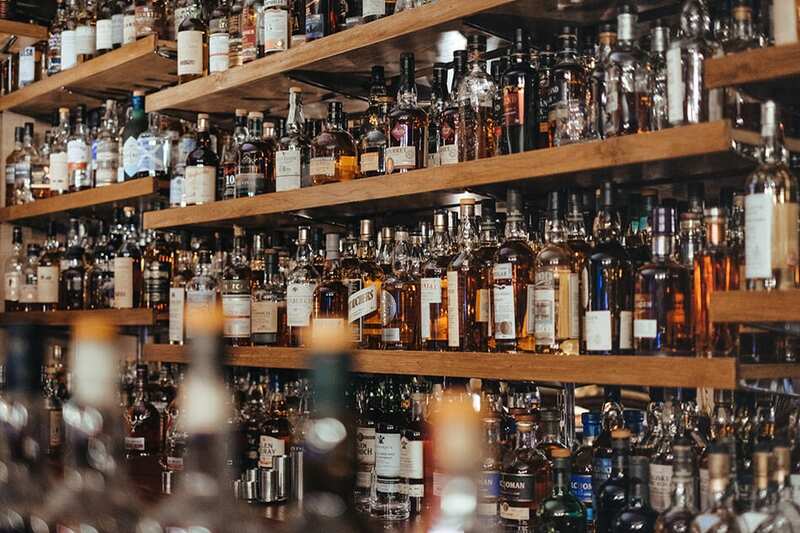 While you’re in the area, if you still haven’t added a distillery among your Edinburgh tours, you could explore one of the oldest working ones in Scotland. Blair Athol Distillery is another one of the instagrammable spots in Scotland and produces an amazing 12 year old single malt whisky. To get from Edinburgh to Pitlochry you can take a ScotRail direct train. The journey takes 1 hour and 47 minutes. Abbotsford is a historic country house located in the Scottish Borders, near Melrose. 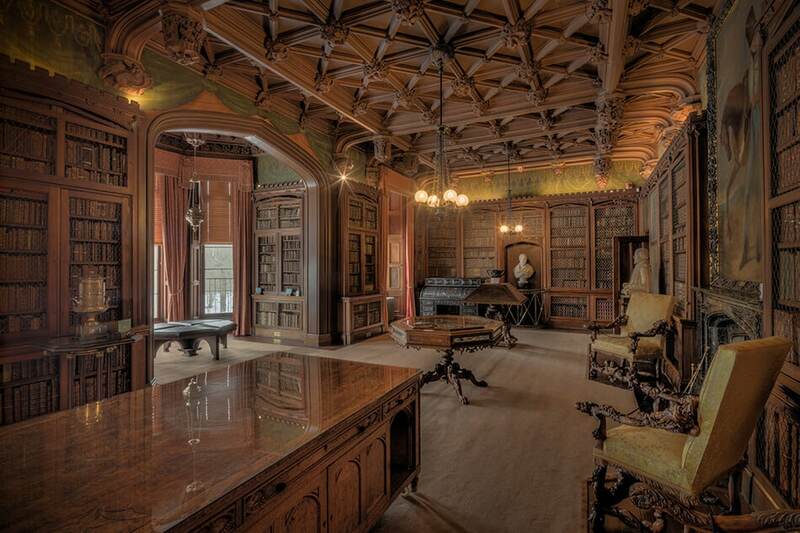 It’s the perfect day trip from Edinburgh if you love literature, as here lived Sir Walter Scott. Considered one of the most famous houses in the world, it reflects like no other place the mind of the man who built it. Every stone at Abbotsford speaks of triumph and disaster: Sir Walter Scott’s literary success and his debt-ridden final years. Since it’s been built on the banks of the River Tweed, the landscape is absolutely amazing. Everyone who enjoys photography will want to spend quite some time taking lots of pictures at Abbotsford! In case you want to stay for the day, there’s a lovely (albeit a bit pricey) restaurant at Abbotsford that overlooks the walled garden: Ochiltree’s Café offers a good choice of Scottish cuisine with farm-to-table ingredients. And of course it’s also a nice tea room where you can just sit back and relax while taking in the scenery of the Scottish countryside. Tickets to visit the House, Chapel and Gardens cost £11.20 but you can save 10% on admission if you book them online on the official Abbotsford House website. The only downside we found is that it’s definitely not among the easiest day trips from Edinburgh by public transport. You will need a ScotRail train from Edinburgh to Tweedbank (the trip will take 57 minutes), then once at Tweedbank Station, you’ll have to find a bus to Melrose. The ride will take about 10 minutes. The best ones are Borders Buses 61, 62B, 69, or Scottish Borders Council bus 964. Abbotsford is at about 150m from the Melrose bus stop. As you can see there are quite a lot of interesting day trips from Edinburgh that you can plan on your own. 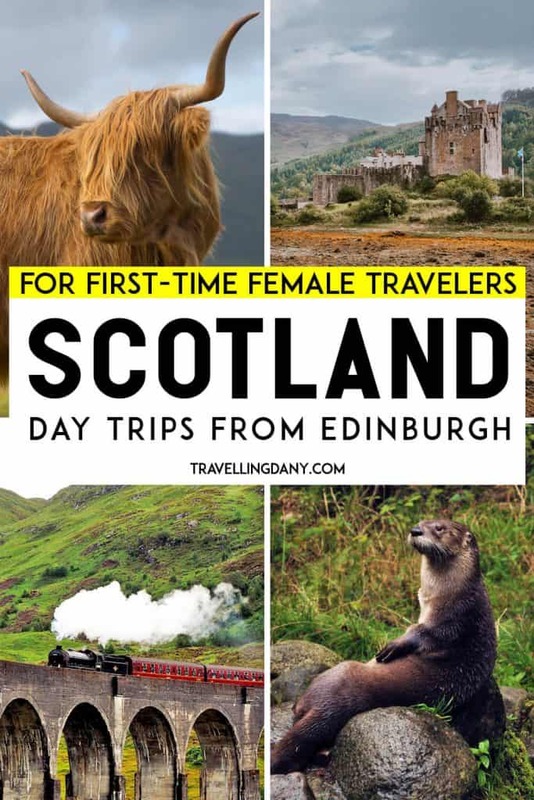 If this is your first trip to Scotland and you’re not sure how to establish how much time it will take you to visit the places I’ve mentioned above, let me offer you a few pointers to make sure you prepare the best Scotland itinerary ever. The below destinations will all take one full day. In some cases it’s because it takes a while to get there. In others there are so many things to do that it’d be a pity to rush your visit only because you’ve planned something else in the afternoon. I strongly suggest you allocate at least one full day to the following trips from Edinburgh, especially if you’re visiting Scotland by public transport: sometimes buses are delayed because of traffic, don’t forget to take that into account! Stirling Castle can be visited as a half day trip from Edinburgh if you don’t have much time. Yet if you have rented a car or if you don’t mind exploring by public transport, I suggest you plan a full day to see this charming part of Scotland. Add Loch Lomond and Falkirk to this trip, with a visit to The Kelpies! Loch Lomond and the Trossach National Park are perfect if you love outdoor activities like cycling, walking or hiking. You can also plan a loch cruise (they usually last 1-2 hours) if you have enough time, which is exactly why you should plan a full day trip from Edinburgh if you want to visit the area. If you are driving in Scotland, stop at The Helix, a park where you will find the largest equine sculptures in the world. You’ve probably already seen them on my Instagram feed: while you can visit the Kelpies from the inside with a paid tour, we decided to just stop-by to take a few pictures and enjoy the area, for free. Exploring the amazing Fife Coastal Route is an interesting way of discovering some amazing places in Scotland. While you can easily reach some of the castles, museums and palaces on the road by public transport, I think that the Fife Coastal Route gives its best when you can drive a car. We can thus label it as one of the best day tours from Edinburgh if you have rented a car. Size, in this case, doesn’t matter: the road is clean and Al, as usual our designated driver, found it particularly easy. One way to keep it within your budget might be to rent a small car for just one day, so you can drive along the coast and then return it in Edinburgh. The Fife Coastal route goes from Kincardine to Tayport, or even better, from Kincardine Bridge to Tay Bridge. You will drive through the Devilla forest (don’t speed, the area is full of red squirrels! ), Culross, Dunfermline Palace, the Scottish Fisheries Museum, Kingsbarns distillery, St. Andrews and the Tentsmuir forest. Even if this route is “only” 124 km (77 miles) long, you might not have enough time to stop to each and every place if you want to keep it a day trip from Edinburgh. Plan in advance what you want to see and how long you can stay in each place, to make sure you won’t have to drive back late at night! 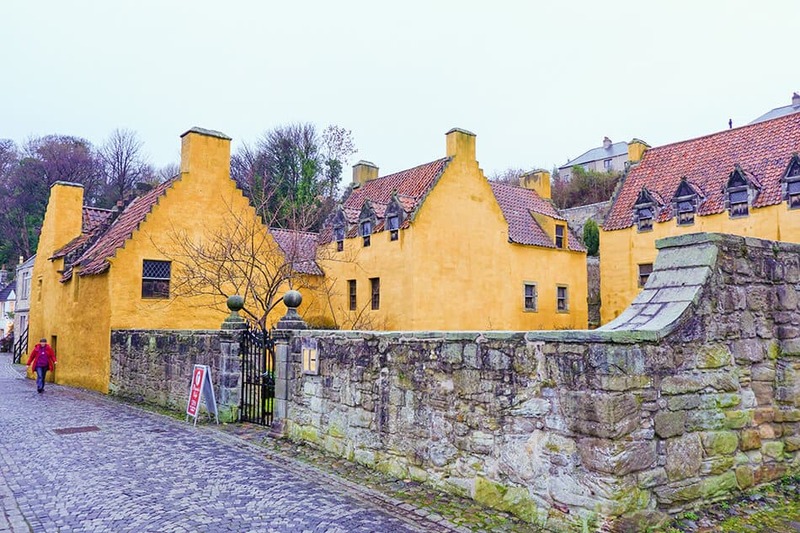 Culross is one of the most instagrammable places in Scotland! This self-guided Outlander tour is of course dedicated to those who love the tv series Outlander, based on the book series by Diana Gabaldon with the same name. Doune Castle, originally built in 1390, stands in as the fictional Castle Leoch. On the same day you can also visit the lovely town of Culross, used in several episodes and best known by the fans of the show as Cranesmuir (seen in season 1). 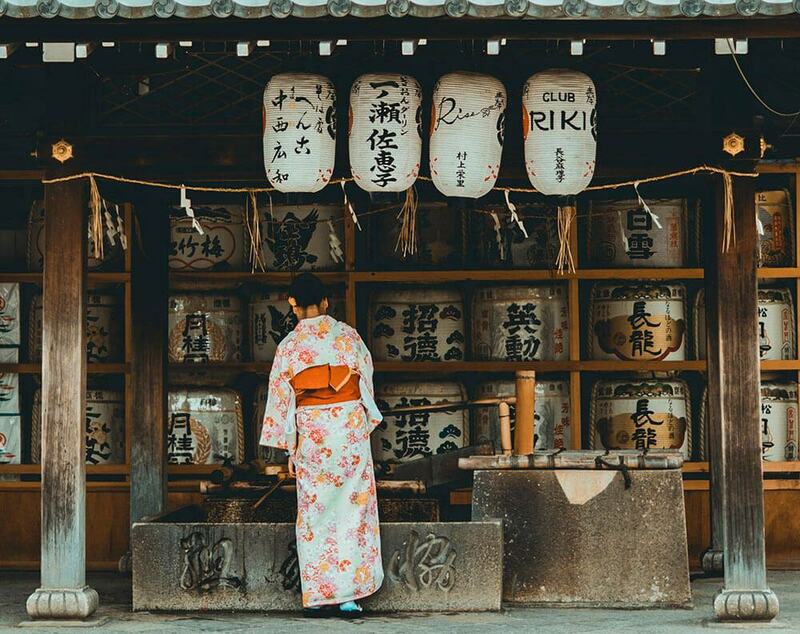 While you’re there, explore the cobbled streets: there are quite a lot of instagrammable spots! Falkland was used to portray the city of Inverness. It’s a quiet, friendly little town on the edge of the fantastic Scottish countryside. Just like Frank and Claire, you can walk on High Street across from Mrs Baird’s B&B (which is actually Covenanter Hotel) for a drink or to have lunch. Other streets used in season 2 are The Hail Mary, Brunton Street, Rotten Row and the mouth of Sharps Close: all are within walking distance. Midhope Castle was used as Lallybroch (known as Broch Tuarach). It’s a 16th century tower house west of South Queensferry, a colorful town where you can also take nice pictures of Forth Bridge. In the Outlander series, Lallybroch is home to Jamie’s sister, her husband and their children. Linlithgow Palace is pretty close to Edinburgh and could be your last stop before to return to your hotel for the night. Featured in the series as Wentworth Prison, it was the birthplace of Mary Queen of Scots and is located next to a beautiful lake that you can explore for free. If you’re not sure you can plan this tour on your own, you can book a guided tour to the Outlander filming scenes. Keep reading for more details! The train trip to Glasgow lasts more or less 1 hour. Yet as you have already read in the previous chapter, there is so much to see and do. I really suggest to add Glasgow to your list of day tours from Edinburgh and just enjoy a full day over there. You absolutely won’t regret it! Sometimes you really need to slow down to make your trip unforgettable. In this case, walking around, exploring museums and finding street art in Glasgow will take the most part of the day: don’t rush it! Just like Glasgow, St. Andrews has so much to offer. Because the train trip to get there is longer (2 hours), and since there are quite a lot of things in the area you can explore (including on the way there from Edinburgh), I would allocate one full day to St. Andrews. You can plan a distillery tour, or shop for handmade souvenirs, visit the historical buildings or just take lots of pictures. In case it’s getting late, dine in St. Andrews, so you won’t risk finding the restaurants closed in Edinburgh. Many pubs only serve food until 8pm! Consider one full day if you want to explore North Berwick and the Scottish Seabird Centre. You will have enough time to enjoy a boat tour to Bass Rock or one of the longer tours to see the local wildlife. There’s nothing else in the world like North Berwick so once you’re there, make sure you won’t miss anything! Whether you’re interested in visiting Blair Athol Distillery or not (more info in the previous chapter), the train trip to Pitlochry takes almost two full hours. Spend the day, especially if you are visiting in summer. Planning this as a full day tour from Edinburgh means you’ll have time to rent a mountain bike, or to hike your way through the amazing scenery of Perthshire. We love to road trip in Scotland but parking in Edinburgh was… a nightmare! Not having the chance to plan a longer trip to Scotland doesn’t mean you shouldn’t go for a day trip from Edinburgh. Even if you have a long list of things to see in Edinburgh, you can add at least a half day trip to explore Scotland to your itinerary. The whole trip to Scotland has been scheduled, but you don’t think you can pull a day trip from Edinburgh on your own? Why don’t you let a professional guide take care of everything? Sometimes it’s easier, because you won’t need to rent a car, learn how to drive in Scotland, or hop on and off from trains and buses the whole day. With a private driver and a guide willing to tell you stories and legends, your day tours from Edinburgh can be absolutely amazing. 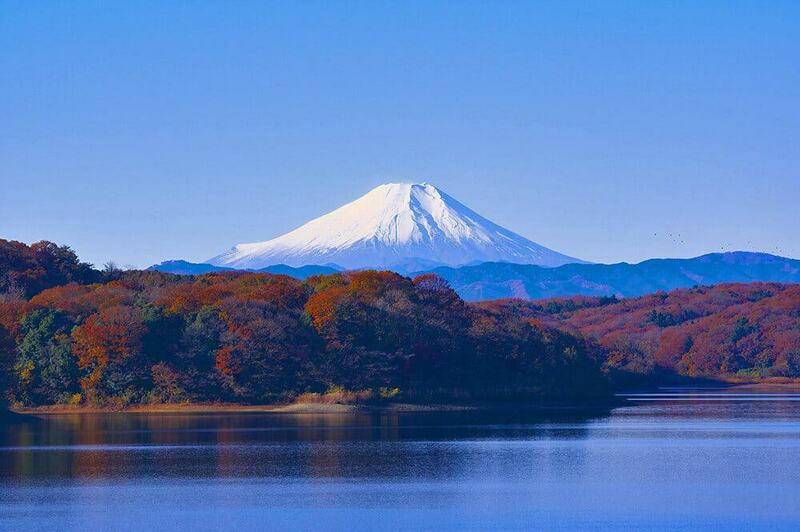 These are the best tours at the most affordable prices you can find online. Enjoy your trip and let someone else deal with the organization! This day tour from Edinburgh includes a handy pick-up from most hotels and guest houses in Edinburgh city center. In case they don’t serve your hotel, they will make sure to pick you up at the nearest main road, usually within walking distance: even less hassle! 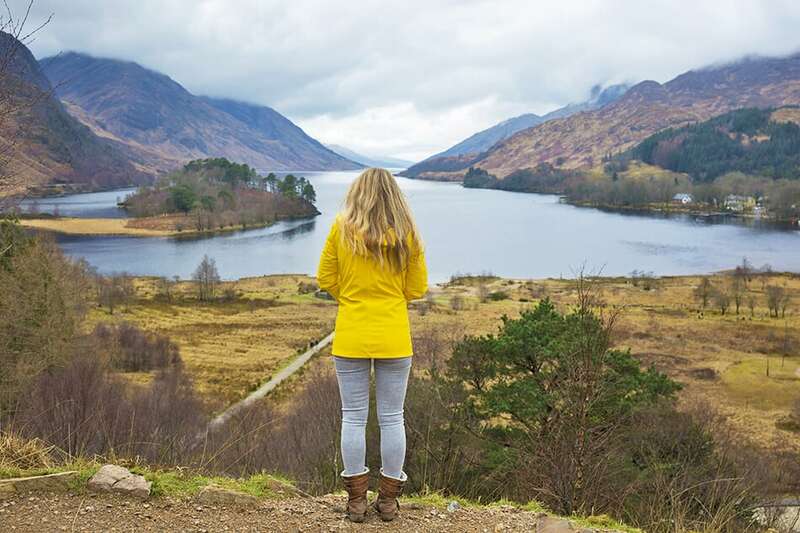 You will be able to explore the Scottish Highlands, reaching the dark, brooding Pass of Glencoe. Here you will learn the haunting story of the massacre that took place there in 1692. After crossing Loch Leven, you’ll head to Fort Augustus on Loch Ness (keep your eyes open, you might see “Nessie“!). Two of the last stops are Loch Laggan and Pitlochry: you’ll be able to pack a lot of things in just one day! Here you can find prices and availability for this tour. As you probably understood from my Harry Potter guide to Edinburgh, I’m very much in love with the novels by J.K. Rowling. If you are a fellow Potterhead, then have a look at this tour, because in one day it’ll guide you through some of the key filming locations from all the Harry Potter movies! It includes transport to Fort William, where you’ll have the chance to ride the iconic Jacobite steam train (to Hogwarts, hopefully!) while a guide will tell you everything about the movies. 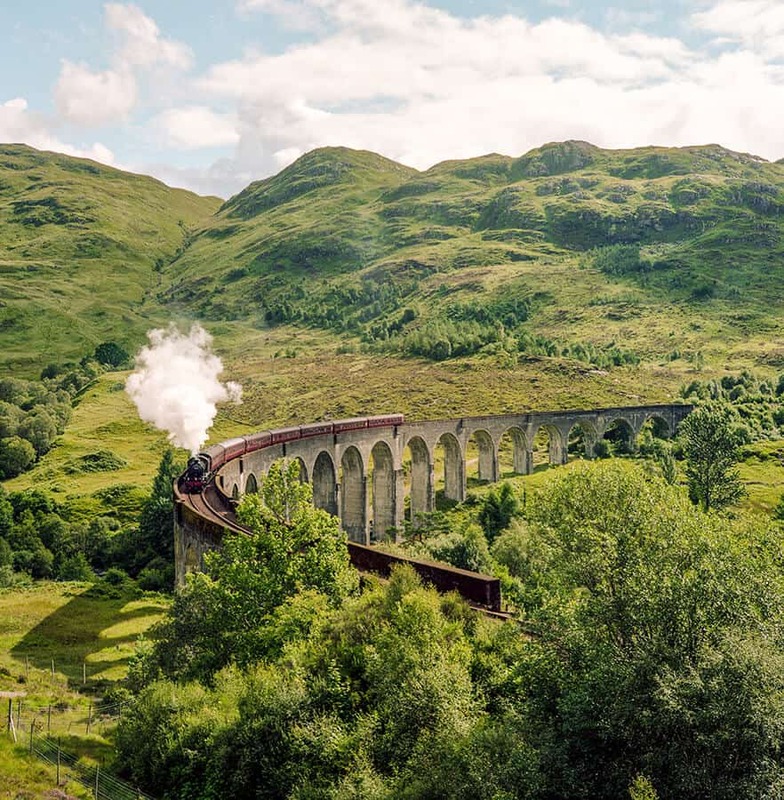 You’ll also cross the Glenfinnan Viaduct and see Loch Shiel from the “Chamber of Secrets“, and visit the site of the Triwizard Tournament from “The Goblet of Fire“, among others. The meeting point? Why, of course it’s Diagon Alley in Edinburgh! Hop aboard the Jacobite steam train for a Harry Potter tour! As I already mentioned, the Fife Coastal Route gives its best when you’re visiting by car. Let someone else drive, instead than having to worry about renting a vehicle, in this amazing full-day tour from Edinburgh! You will get to cross the mighty Forth Rail Bridge, and stop at several of the cutest, most instagrammable fishing villages in Scotland. From Anstruther to St. Andrews, to Falkland, while spotting the iconic Highlander cows here and there in the Scottish countryside: a professional driver will show you the best of Fife! 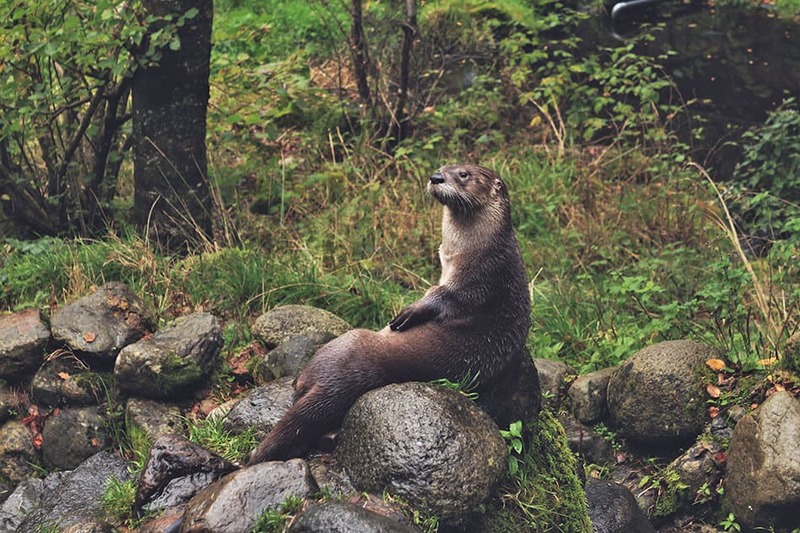 Did you know there’s a large number of wild otters in Scotland? A great guided half-day tour from Edinburgh. It will take you to Rosslyn Chapel, where you will learn about the myths of the Holy Grail and the Knights Templar. Your group will include max. 16 participants, which is a great thing, since you’ll be able to ask questions and explore as much as you want (it’s not always possible when you’re traveling with large groups). Among the stops for the day there will be also Wallace Monument and Melrose with its Border Abbey, the burial place of Robert the Bruce’s heart. Because it’s a half-day tour, you can add a visit to the Royal Mile or to another attraction in Edinburgh in the afternoon to your itinerary. If you want to visit the Outlander filming locations but don’t feel like planning the whole tour on your own, this is the perfect tour from Edinburgh for you! You will get to visit all the most iconic locations, with an expert guide willing to share lots of insights on the scenes filmed in each place. While the tour doesn’t include lunch, you will be offered a map of all the places you’ll visit and a themed souvenir to remember this awesome trip! What’s a trip to Scotland if you won’t visit a distillery? What’s a trip to Scotland if you don’t plan a distillery tour? Even if I don’t drink alcohol, I absolutely love to see how food and liquors are made. The scents, the magic behind every product… you always learn new things! This tour will stop at Glengoyne, a quaint distillery located at the foot of a hill, at Loch Lomond National Park and at Deanston distillery. You will be introduced to the process of turning barley, water and yeast into whisky. To take part in this tour you have to be at least 18 years old. This awesome day tour from Edinburgh is perfect for those looking to experience a rush of adrenaline, testing themselves with thrilling activities. In this case, you’ll be driven past Perth, into Highland Perthshire, up to Splash White Water Rafting in Aberfeldy. Your guide will explain everything you need to know and show you the equipment you will wear to go rafting on the River Tay. Safety comes first, so you will be briefed and checked before you can experience this 6-mile rafting trip through some of the best Highland Scenery in Scotland. Back in Aberfeldy, you will have time to change into dry clothes to visit Dewar’s Distillery for a guided tour. There’s enough time for lunch and to explore Aberfeldy. All the technical equipment required for white water rafting is provided, as well as professional photography of your rafting experience (a great deal, since more often than not this kind of photography is quite expensive)!